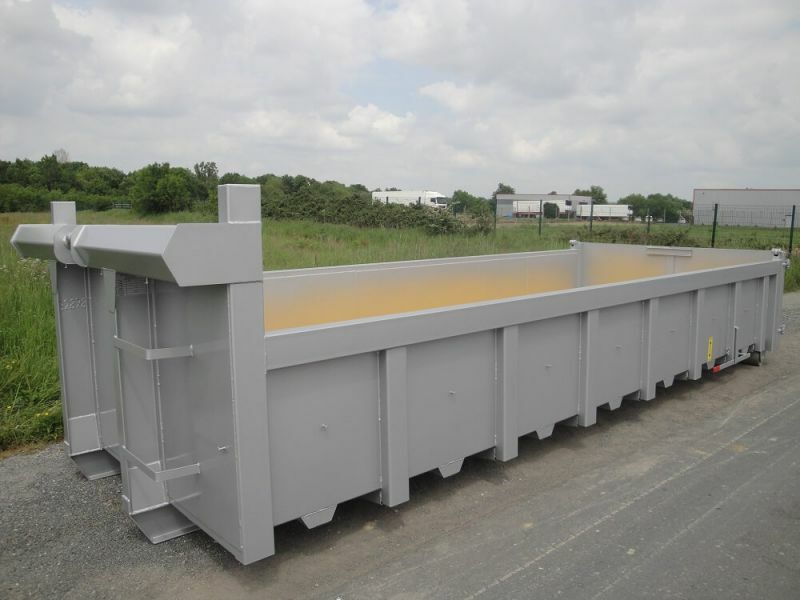 Our boxes and dumpsters multi-lift come also in a reinforced range 6 to 40 m³, with a width of 2.3 m, a height of between 0.8 m and 2.4 m and a length ranging from 5.5 to 7.4 m.
The materials and used reinforcements will allow you the storage and transport of heavy waste type scrap metal or rubble. 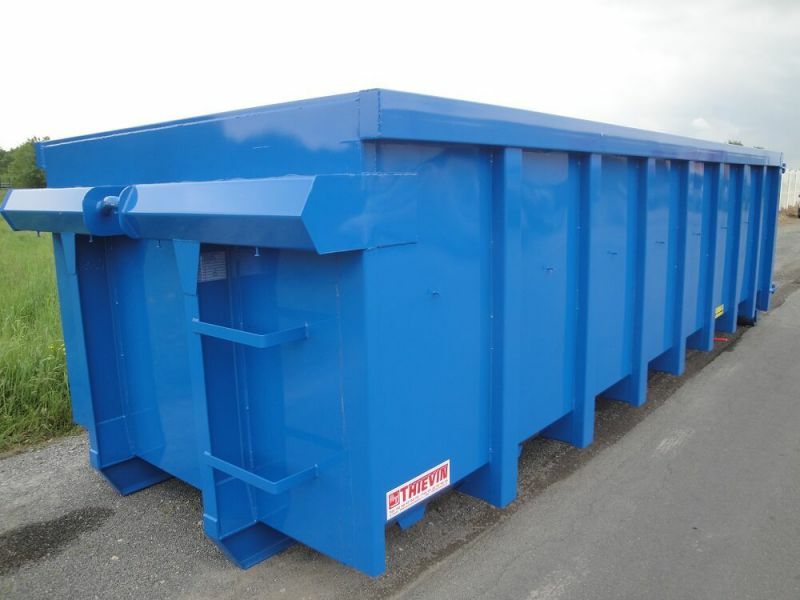 These boxes and dumpsters multi-lift are suitable for use of waste compactors. Note that the boxes of 25 to 29 m³ are compatible pressure roller. 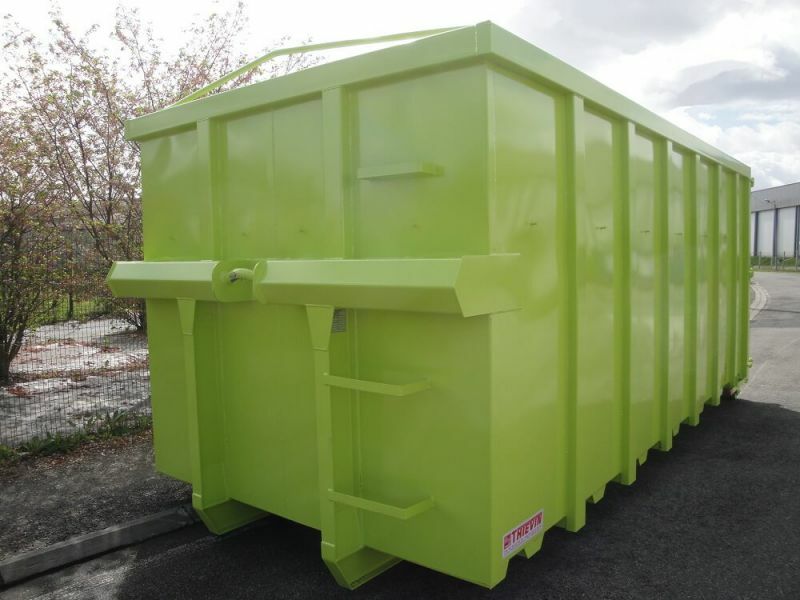 These boxes and dumpsters multi-lift THIEVIN' range, small volumes but strengthened to the level of the side poles and substantive ties, are suitable for the transport of rubble and heavy waste in intensive use, for example in the building and public works sector. These boxes and dumpsters multi-lift THIEVIN' small volumes, manoeuvrable and suitable for reactive use, ideally accompany you in the transport of your scrap and DIB (waste innocuous industrialists). 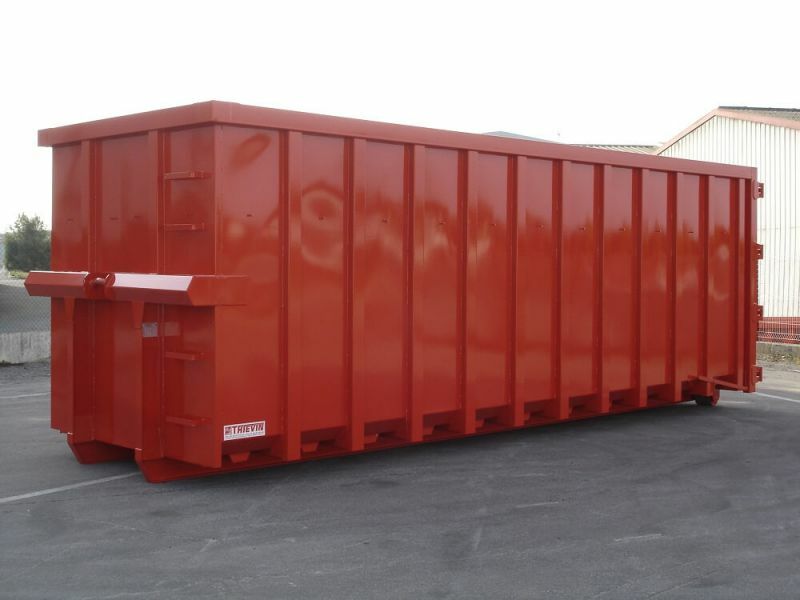 Our boxes and dumpsters multi-lift strengthened, ranging from 20 to 24 m³, volume will allow you to transport all types of scrap metal through their side and bottom reinforcements. 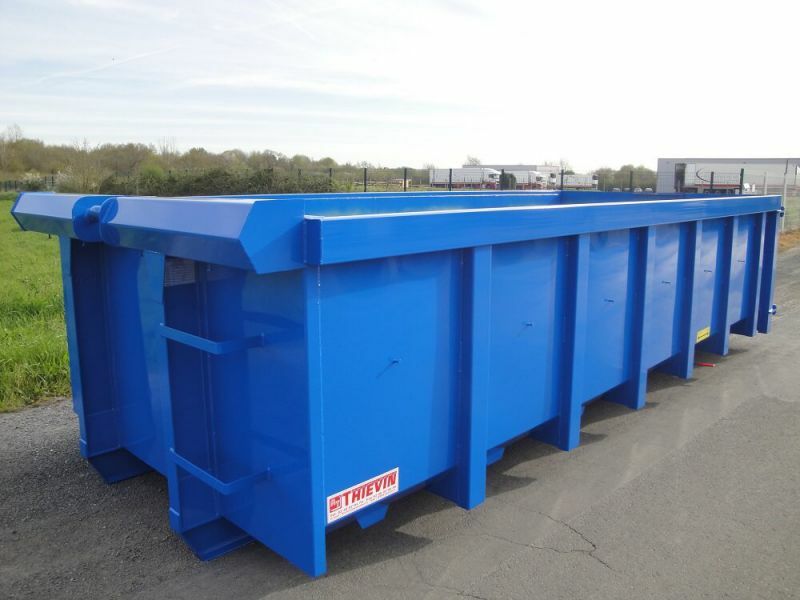 The dimensions of these boxes and dumpsters reinforced multi-lift THIEVIN', from 25 to 34 m³, are suitable for the transport of waste bin run that can be compacted (cardboard, wood, green waste...). These boxes and dumpsters multi-lift THIEVIN' range, and large dimensions (up to 7 m long and 2.5 m high), reinforced to carry volumes of materials or materials of all type and important. This new range of boxes and dumpsters multi-lift is available in sizes 20, 30 and 35 m³ and version strengthened as the rest of the range THIEVIN'. So, you can benefit from THIEVIN' know-how combined with greater responsiveness in provision of products.